Illusion combines the functional elements of light and a table. It hovers above the ground, challenging our perceptions of gravity and our ideas of two common pieces of furniture, offering elements of surprise and magic. Combined in one, the lamp and table become the focal point of any space, whilst providing a place for your cocktail drink or your keys. 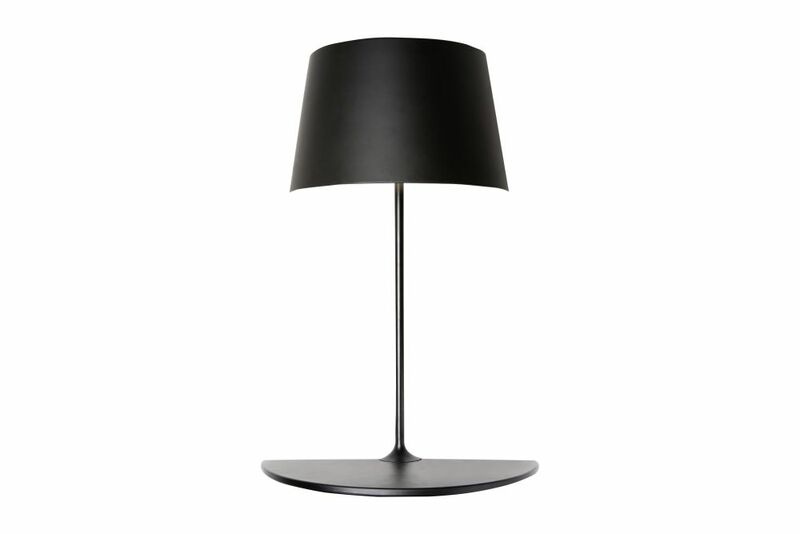 The glossy white version of Illusion directs a strong and clear light down from the shade, whilst the matt black version emits a light that is more sparse and diffused. Hareide Design was established in 2000 by Einar Hareide, former Design Director of Saab Automobile. Hareide Design is an international industrial design company consisting of a crew of handpicked designers from the cities of Oslo, Norway and Gothenburg, Sweden. The company has a wide customer portfolio, including Volvo Trucks, Bombardier, Rolls-Royce Marine, Jøtul, Kongsberg Maritime, Posgrund Porselen, Adax and Odim, to name a few. Hareide Design has achieved 19 awards for design excellence from The Norwegian Design Council, in addition to being recognized internationally. In 2006 two of their products, AutoSock and Starloop, were incorporated in the permanent collection of Architecture and Design at the Museum of Modern Art (MoMA), in New York. Hareide Design has also won the iF Gold Award, three Red Dot Awards, as well as the prestigious Red Dot Award “Best of the best” in 2007 and 2009, as the first ever Norwegian design agency to do so.